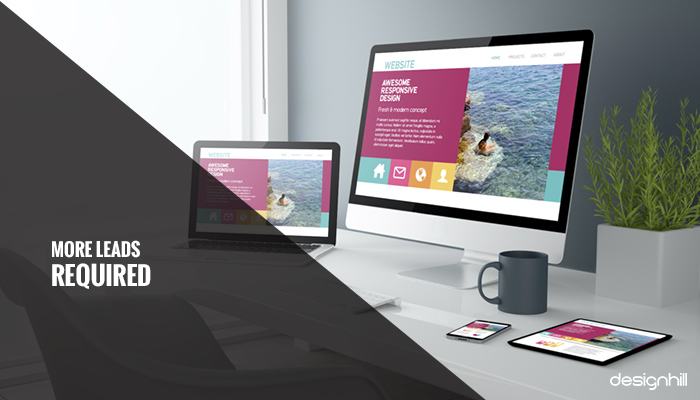 Websites have become essential to doing business today. A website holds vital and updated information on a business, products or services, contact details, and many other things. But if your website design is outdated, it may not be good enough for the modern-day consumers. If you do not redesign your website, you may be losing consumers to your competitors. Website design has changed a lot in past few years. Even when compared to the websites of just two years back, present sites look different. Many of them have changed dramatically. Images, text, social media buttons, and other features appear differently today on websites than ever before. If your website was created a few years back, chances are that users are not relating to it anymore. They are now habitual of using new features of modern websites. So, when they visit your old website, they may not find it comfortable to use. This may result in high bounce rate. You need to give them a better user-experience from your website. But many business owners do not know when to redesign their websites. They just keep on uploading information on the old sites. Many of them think of redesigning the site when the bounce rate continues to climb up. According to a study, 88% of online visitors do not come back to a site due to the bad user experience. 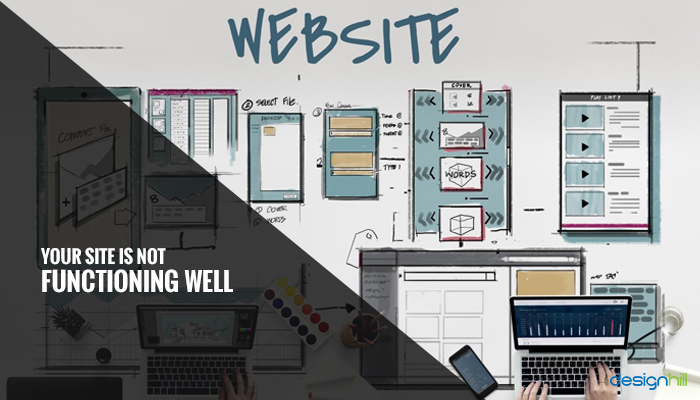 Your site will be losing potential customers steadily.So, when should you redesign your website? Modern-day website designers think of user experience (UX) when they incorporate a design feature. 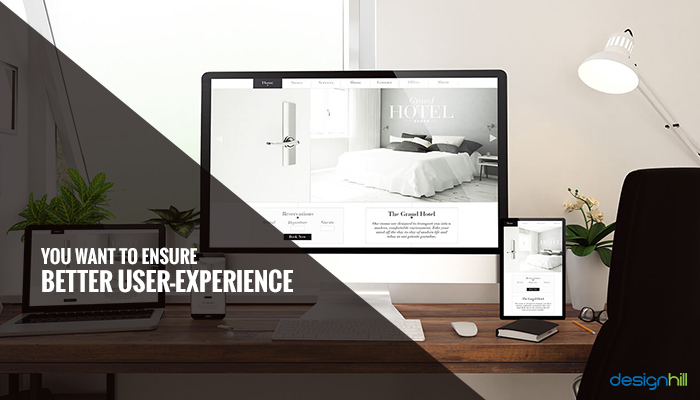 User experience is all about making a visitor comfortable when navigating through your website. The designer wants the user to have some emotional experience with the site. A visitor will have a better experience with your website if it has great navigational features. Switching from one section to another must be a seamless process. Faster load time of your website is a great user experience. A website that has a simple design will surely attract visitors. If these qualities are lacking in your old website, then it will cost you valuable leads. If your website design fails to give more enjoyable experience to visitors, think of redesigning it. Make sure that you know what your users want from your site. 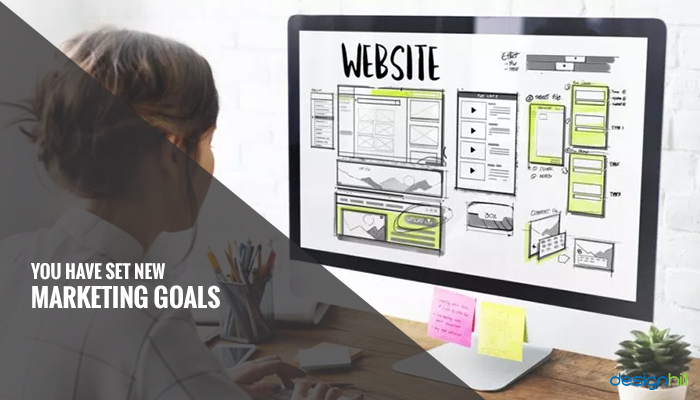 You should set some goals for your new website design. Know about the action your visitors should take when they come to your website. It would be good to use analytic software such as Hotjar to track the performance of your website for improving your UX of the website. Does your website take time to load? If that is the case, then its design may be an outdated one. 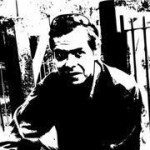 It may be having many heavy images and broken links. It may also be having a layout that is old-fashioned, which is not compatible anymore with the new age browsers. Many features on your website may not be a need of visitors but those features are responsible for increased load time. It might be that your website is not optimized for the latest browsers. You might also be linking to old pages, which do not exist. Such small issues play a crucial role in making or breaking your website. 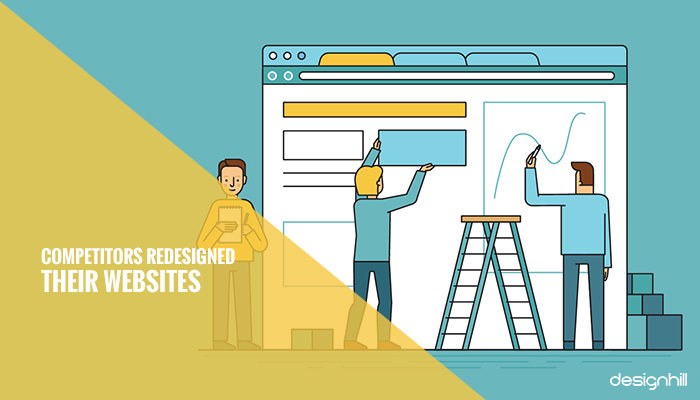 You should not neglect these issues and address them by redesigning your website. But pay attention also to host of other things also when it comes to marketing your business. You may also like to consider redesigning your old logo design to give it a refreshing look along with redesigning your website. Most of your potential and target customers are searching and shopping for products or services online by using smartphones or tablets, or other mobile devices. 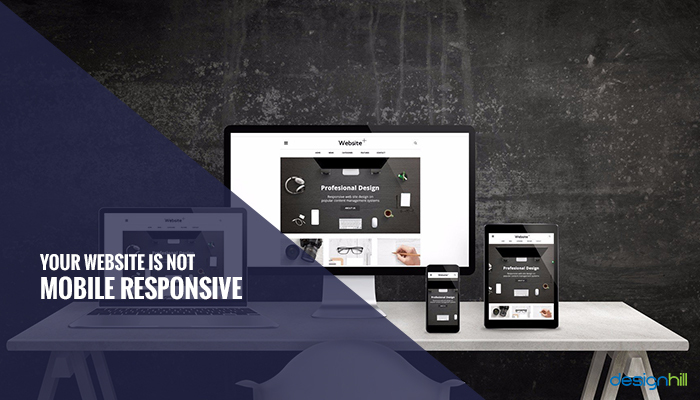 If your website is not responsive to the smaller screens of mobile phones and such other devices, you should redesign it. If you have not optimized your website yet, redesign it to make it compatible with the small mobile devices. What Are The Effects Of The Database On Website Design? When a business resets its goals, its marketing campaign also makes changes accordingly. These changes include redesigning a website. Make sure that your website is aligned with your new business goals. It may sound to be a tough task but it is essential when it comes to digitally market your business. Your branding needs might have also changed, which should be reflected in your new website design. But logo or colors are not the only branding needs. You must also pay heed to the content and language that your website uses. You may also take the online graphic designs services route for your graphic design needs and can save on money. If your branding needs have changed, all its components must also be altered. In fact, when you reset your business goals, you will be changing your other marketing materials and even your social media page. This is done to reflect your new business ambitions. If yours is a WordPress site, it has some third-party tools that are useful in adding new functionalities to the site. These tools include eCommerce plugins, exit-intent pop-ups, and scripts to embed social media feeds. But these tools become outdated. So, you need to update these tools. 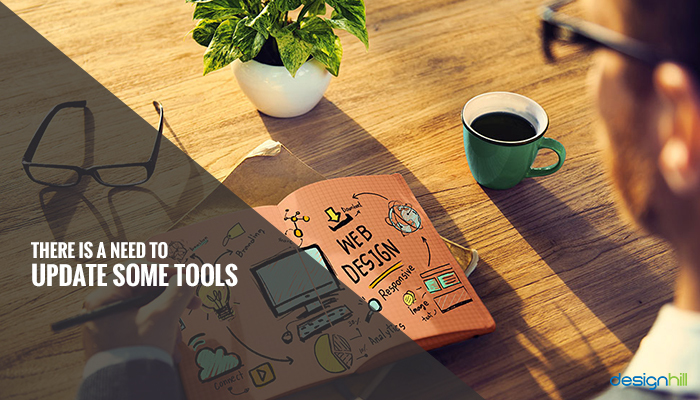 You must evaluate how your third-party tools are working. It may be that some of them are slowing down your site’s speed. See if improved versions of the tools are available. Even when your website looks fine, it may not be converting prospects into leads. It may not be drawing more customers to your business. If that is the case, then you should consider revisiting your website design. Pay attention to your landing page. Make sure that the page is user-friendly with new features and it is designed by professional graphic designers. Redesign your call-to-action (CTA) and conversion path. You may need to rewrite the language of your CTA to make it more compelling. Do the needful to improve their designs. 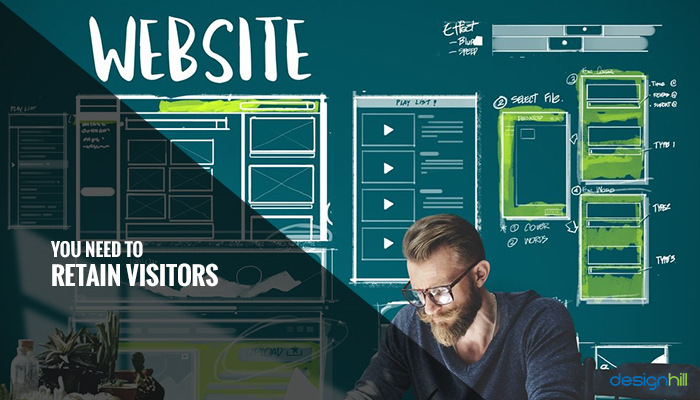 If your website design is for selling your product or service, it is important that visitors stay on the site for a longer time. Even if it is a blog site, you would like people to read and share your blog posts. In case of an e-commerce site, people should be searching extensively for products. They should be buying your products. But that can happen only when visitors can stick around your site for a bit longer period. Here are some points to check to find out if visitors are leaving your website quickly. First, check the bounce rate. When a user comes to your web page of the site and stays there for a few seconds and does not visit other pages, it is known as a bounce. To calculate bounce rate, you should divide the number of bounces by the number of sessions on your website. Find out also how many pages the users viewed per session on your website. If the number of pages viewed is high, this can be understood that your average user is viewing more pages when on your website. If your website is facing some issues in retaining your visitors for a few seconds more, then it would be good to redesign the site. Another good reason to redesign your website is when your nearest competitors have redesigned their sites. This will mean that they have made your site look older. People will be attracted to the newly redesigned sites of your competitors. They have added more useful features for the users. So, check your competitor’s site and make sure that yours is not lagging behind when it comes to making it more user-friendly. You should consider redesigning your site especially when the competitors’ sites look entirely different from yours. Compare the website designing elements such as colors, graphic styles, text size, etc with your site. If there is a wide difference, then redesign your site to give it a refreshing look. Giving a new look to your site will signal that your business keeps up with the times and it is growing. If competitors have redesigned their other marketing materials, then change yours also. For example, if they have a new business card, then think of recreating your business card design. So, you should be recreating most of your promotional campaign and not just website. 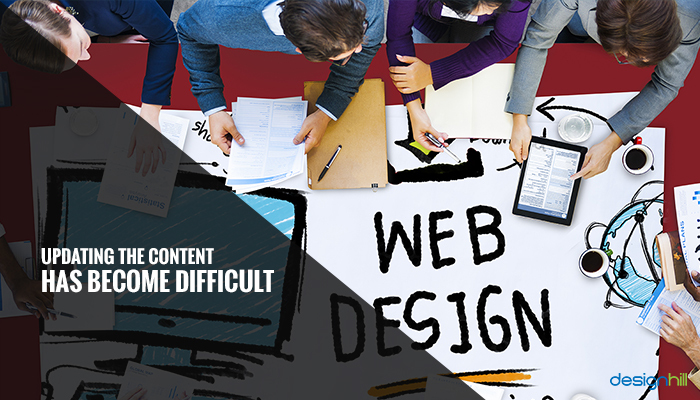 Think of redesigning your site when you find that adding fresh content to the site is not easy. You must add good content regularly to send the right message to your audience. You should be posting text, videos, how-to instructions, tutorials etc to the site. Such content plays a leading role in the success of your website and business. Make sure that you can quickly and easily update your content on your site. This should be easily done using a content management system. Make sure also that the site is SEO optimized so that marketing of your site becomes a lot easier. Some website looks impressive but they do not function properly. Many features on such sites work below their capacity, which is a bad user-experience for the target audience. 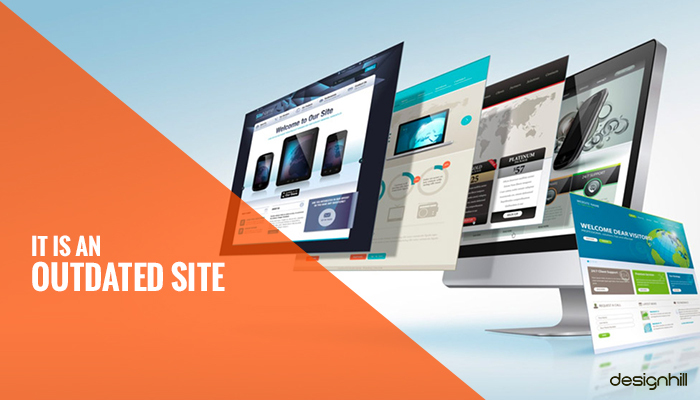 A good development of your site is, therefore, crucial to your business. If some of the features of your site are not working nicely, it will have an adverse impact on your business and company. For example, if shopping cart of your e-commerce site is not working smoothly, the potential customers will leave the site. If the card design is complex and takes months to repair, it is going to damage your business. You may lose customers and money during that period. In that case, think of redesigning of your site. These are the key points to consider in order finding out if you need to redesign your website or not. If you are sure that it is time to redesign the site, do not delay it or you will go on losing potential customers and business. Do not worry about your small budget. You can always crowdsource your website redesign work to Designhill, which is an affordable leading platform for small and medium business owners. They can get their design needs fulfilled effectively at an affordable price. Launch your website design contest with Designhill and get dozens of new design concepts at one price. 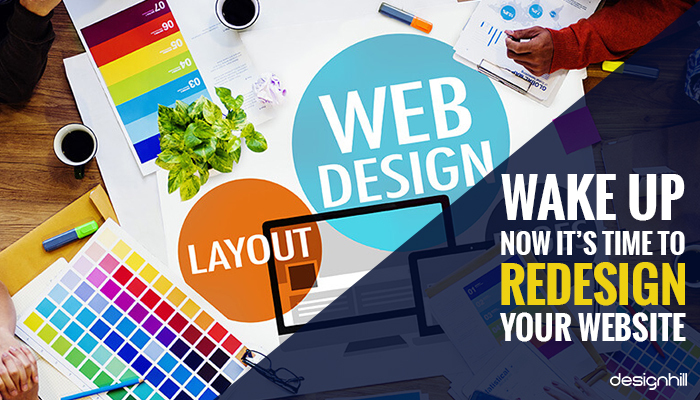 You can thus have a winning redesign of your website. There are many signs to find out whether your website is functioning well or not. Its bounce rate may be higher, you may not be getting the desired amount of customers and business, your marketing goals have changed, etc are some of the reasons for redesigning your website.